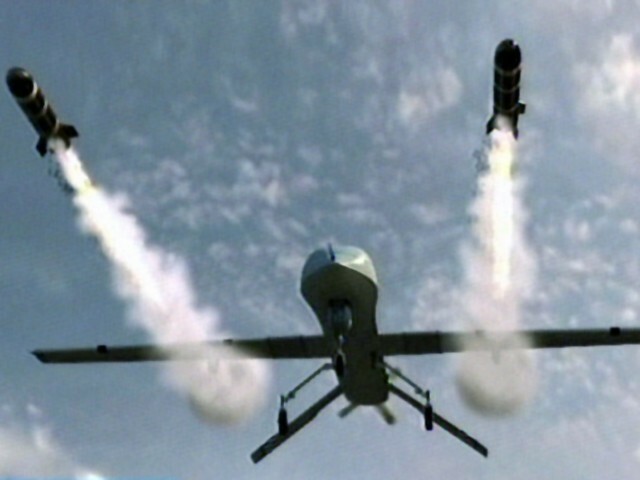 A new report in the Wall Street Journal reveals emails in which then-Secretary of State Clinton approved CIA drone assassinations in Pakistan from her unsecured Blackberry. The timing and location of these strikes are considered Top Secret/SAP [special access program], in that revealing such data could allow the targeted humans to escape, and embarrass U.S. ally Pakistan, whom many believe is tacitly allowing the United States to conduct such military operations inside its sovereign territory. At specific issue are 22 emails that were on Clinton’s private server. These messages were not publicly released, withheld entirely. However, the broad contents were leaked to the Journal by anonymous congressional and law-enforcement officials briefed on the FBI’s investigation. Clinton’s role in approving the drone kills stems from concerns by lower State officials that the attacks’ timing and location might interfere with broader diplomatic engagement. So, from 2011 on, the State Department had a secret arrangement with the CIA, giving it a degree of say over whether or not a drone killing would take place. Clinton allegedly objected only to “one or two” attacks out of thousands. However, the Wall Street Journal states the e-mails were not merely forwarded news articles, but consisted of informal discussions between Clinton’s senior aides about whether to oppose upcoming CIA drone strikes in Pakistan. When a potential strike was imminent, or if it occurred during a weekend or holiday when State Department staffers were away from government computers, the covert operation was then debated openly over unsecured wireless networks that anyone with a modicum of knowledge could intercept. As a matter of speculation, the Russian and Chinese embassies in Washington DC likely employ people with a modicum of knowledge about wireless communications. There is no built-in delay in classified communications. The official is likely referring to an unwillingness by Clinton’s staff to return to the office to conduct classified business on the proper system. Since there has been no suggestion or evidence that CIA officials also used unclassified systems to discuss drone strikes, one can assume they were willing to be at the office when U.S. national security issues mattered. During Clinton’s tenure between January 2009 and February 2013, the CIA conducted 294 drone strikes that killed 2,192 people, at least 226 of whom were civilians. So THIS is the smoking gun that will blowback in her face. It’s reaching critical mass. Comey et al better react if Obomber and the Lynch Mob at DOJ make a mockery of CLASSIFIED INFORMATION this sensitive. Good luck FBI getting a jury to convict anybody for violating national security again. Speaking of blowback on the battlefield, the NRA may finally be in for a real civil war. Americans actually have a choice to make – not the farce that is the 2016 presidense election. What are you willing to do to force the government to protect us from the NRA and its whores in congress who are killing US? One of the most serious potential breaches of national security identified so far by the intelligence community inside Hillary Rodham Clinton’s private emails involves the relaying of classified information concerning the movement of North Korean nuclear assets, which was obtained from spy satellites. Multiple intelligence sources who spoke to The Washington Times, solely on the condition of anonymity, said concerns about the movement of the North Korean information through Mrs. Clinton’s unsecured server are twofold. First, spy satellite information is frequently classified at the top-secret level and handled within a special compartment called Talent-Keyhole. This means it is one of the most sensitive forms of intelligence gathered by the U.S. If Hillary was Asian heritage, she would be in jail by now. Well then Dir. Comey, when does a NEW investigation start to find out WHICH law-enforcement officials “leaked” classified top secret info, hmmm? I hope they ream him. After all, the FBI is becoming a joke. IF I read this correctly, then John Kerry apparently had a say in the drone strike – oh, sorry, counter-terrorism operation – that killed US hostage Warren Weinstein and the Italian hostage Lo Porto last year. An account at the time quoted a “senior offical” as saying “I spent a lot of time thinking about how, with all the resources of the American government, the presence of two civilians – Weinstein and Lo Porto – was unknowable. So it was perfectly ok to rain down missiles on a site where Kerry and Obama had NO IDEA who was actually there. My understanding is that the SecState only gets involved if there is opposition from the Ambassador on the ground. So, the Ambassador objects to the CIA op. If CIA cancels the op, that’s it. If CIA wants to continue the op, then the SecState is brought in. If the SecState says no to the op, CIA can still do it but must provide a written reason why. WTF Part of Executive ACCOUNTABILITY does this Bombo Eruption, Queen HELL NOT Understand? Illuminating article. 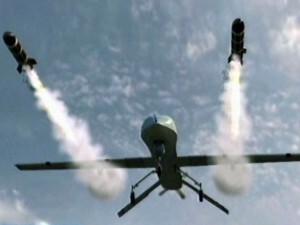 I cannot imagine what it would be like to live in a country where drones could fly over and kill you. We have drones flying over our ranch daily. If they could kill us, what would we do? Dive under the nearest tree? Curl up in a ball and hope you lived through it? No wonder Paul Craig Roberts calls here “Killary” Clinton. She should be ashamed of her savage cruelty. What a beast! Logline: Two FBI agents race the clock to find critical proof of violations of national security that could affect the race for president.